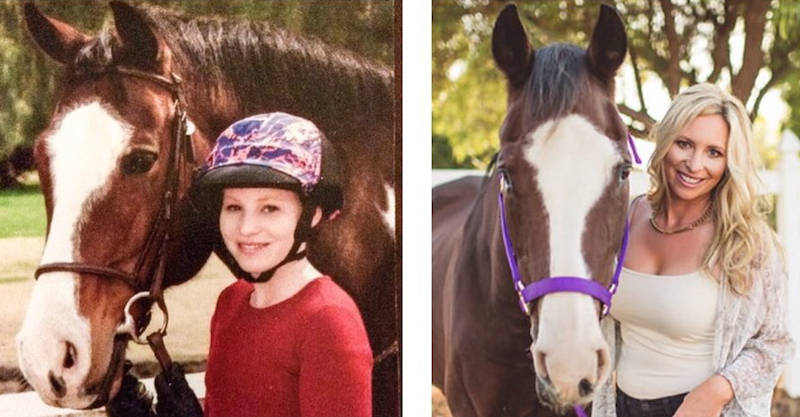 There’s nothing like growing up with horses. I was 7-years-old when I took my first riding lesson. I was hooked from that moment on. In fact, there was nothing I loved more. At long last, I had found something I was good at and felt comfortable and confidant doing. I wanted to be with horses all the time. Horses. Horses. Horses. They’re all I thought about, talked about and dreamed about. 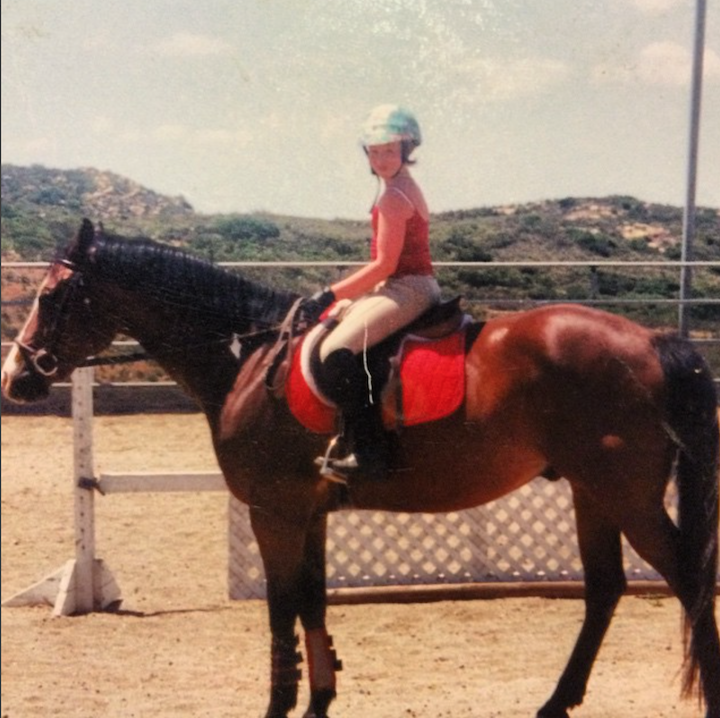 22-years later, I’m 29 and just as horse crazy as ever, but the ways I view and interact with horses have changed a lot since I was a little girl in tiny tan breeches and dusty paddock boots. 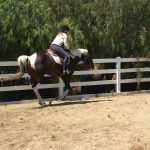 I’ve talked to other life-long equestrians who have noticed some of these same things about horses, and perhaps you have too. 1. I’m not as brave. As a kid I would jump anything on any horse–no questions asked. Drop your stirrups, close your eyes, tie your reins in a knot and jump with no hands, no problem! Today, I’m not so brave; especially when it comes to jumping. This is largely because I don’t do it as much as I used to and with a lack of practice comes a lack of skill. Also, I know that I’m not invincible and a bad fall could seriously impact my life and overall mobility. Not to mention it hurts more and takes longer to bounce back from a fall now that I’m older. 2. I’m more appreciative of my horses. Another thing about horses that has changed is my level of appreciation for these gentle giants. As a kid, I sort of expected horses to behave and I would get really frustrated when they didn’t. Today, I’m in awe how incredible and kind these animals are to us. Here we are, climbing atop their backs and barking demands, and by the grace of God, they LISTEN—well, at least most of the time. Every day that my horse simply stands still while I throw my leg over and climb on top, I make sure to say thank you with a pat on his neck. I continue to provide praise and thanks throughout my entire ride. I want my horse to know I appreciate him, because in all honesty he doesn’t have to listen to me… he’s got 900+ pounds on me! But since he respects me, I always do my best to pay that respect right back to him. 3. That costs HOW MUCH? It’s great growing up with parents who are willing to fund your riding habit… until you grow up and have to pay for it yourself. Paying for horses is far from cheap, and if you want to ride competitively you better find yourself a really good job—and one with flexible hours to boot. 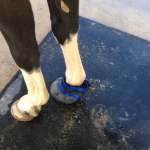 Basic care, board, vet bills, farrier services, training and feed will rob you blind long before you fork out the cash for fancy show clothes or class entrance fees. 4. It hurts more to fall off. There was a time when I could fall off and feel like myself again within a matter of hours or days. At 29, I know it’ll only get worse from here on out. I fell off pretty hard last year while jumping my horse Stanly and to this day I can still feel an ache in my tailbone during certain yoga positions—namely boat pose. 5. There’s never enough time. As a kid, I had endless time to ride. I didn’t have to worry about cleaning a house, paying bills or having dinner ready on the table every night. 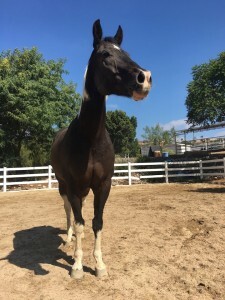 Nowadays, I don’t get to ride nearly as much as I’d like to, and when I do spend excess hours at the barn I often feel guilty for not working or tackling my never-ending to-do list. At least my job gives me the freedom to spend time with my horses, but no full-time job gives you all the time you want to spend with your horses! As an adult, I feel lucky when I get to squeeze in a couple rides in one week. Comparatively speaking, as a kid, I was lucky when I squeezed in a couple rides per day. 6. It’s more fun than ever before. Despite the added aches and pains, anxieties and costs, horse riding is still my favorite thing in the whole wide world. In a way, all the extra trials us ‘adult riders’ go through make riding and owning horses all the more fulfilling. What are some things about horses that have changed for you over the years?